Author and multi-Grammy nominated photographer and director. Above: 1. The Beatles by Ethan Russell © Apple Records 2. 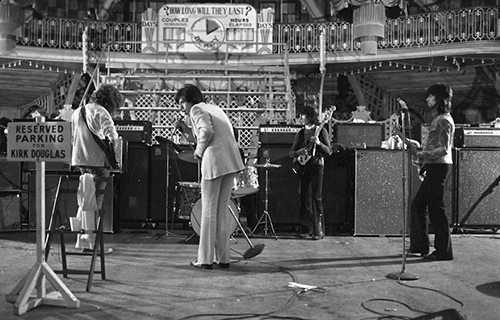 The Who © Ethan Russell. Jerry Lee Lewis © Ethan Russell. Today people call me a music photographer, but when I began that job didn't exist. I wanted to be a writer. Instead for years I was a photographer and after that a filmmaker. Now I am, variously, all three. I have been tied to rock and roll since it's very beginning, when I combed my hair and tried to smile just like Elvis. Over the years I learned that having rock and roll change your life - almost from the moment you heard it - was not unique. Roundabout the same time I was smiling like Elvis, Keith Richards was listening to Chuck Berry and doing the duck walk. "The music lit up my life," he would say. Above: The Rolling Stones "They Shoot Horses Don't They?" © Ethan Russell. By the time I was in in college I was listening to Bob Dylan, the Stones and the Beatles. Thus began a lifelong engagement with the singer-songwriter. People forget, but in mainstream music before Chuck Berry and Bob Dylan there were virtually no songwriters who were also performers. Today the expectation is that they will be, more often than not. Sometimes I think this simple change was the key to music's (and hence my generation's and so our culture's) explosive time of invention. I believe singer songwriters were the most important writers of my generation. 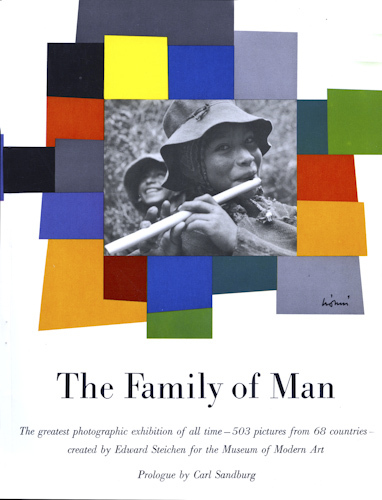 The first book of photographs to truly capture me was "The Family of Man," the monumental collection edited by Edward Steichen for the Museum of Modern Art in New York City and launched in 1953. In theme and scope it has never been surpassed, but for me it was always more than the photography. It was also the use of words to glue the work together ("And shall not Loveliness be loved forever?" - Euripides) I was a teenager then, and I give "The Family of Man" to today's teenagers to remind them of the family to which they belong. When I went to London in the late summer of 1967, I knew no one. Although I came from San Francisco - hardly the shrinking violet of the music revolution - it was indisputably London that had become the epicenter of the new music. In my early days I sat in a one room flat and tried to write, in the afternoon taking long walks through London's parks. But within eighteen months I was photographing John Lennon, the Beatles, and the Stones. I photographed them as people - not as stars, not as celebrities - because that was not the spirit of the time (thank God), and besides that's all I knew how to do. "It's a tribute to the music we made that people still listen to it," Mick Taylor told me when I spoke to him in 2007. It's a tribute to the people they were (and are) that people still pay attention. 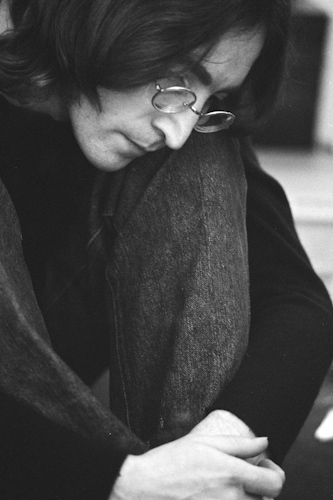 Above: John Lennon Listening to the White Album. Photograph Ethan Russell. © Yoko Ono. When, in 1985, I published my first book, Dear Mr. Fantasy (Houghton Mifflin) I started to get asked the question, "Who was the most important?" Or, "Who did I like the best?" Of course, these are the kind of questions to which there is no satisfactory answer. But "John Lennon" was the answer I would finally give when pressed, not because his body of work was better than another's but because --as we all marched through troubled years -- he was the one who struggled to hold on to his humanity and arguably did so more than others. This is my prejudice. People shorthand the 60s as if they were about drugs, and one could argue persuasively that is what they became, causing untold harm and laying lives to waste. But that is not how the 60s' started, why they mattered, nor why they last. 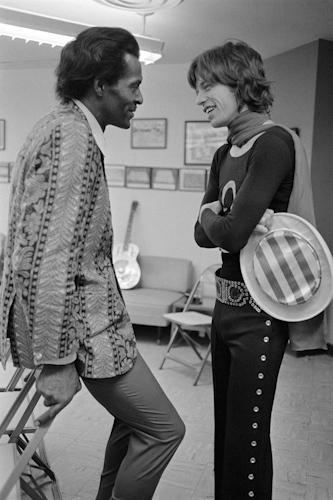 Another writer who I interviewed for my second book Let It Bleed - The Rolling Stones 1969 U.S. Tour said: "What I remember most vividly about that time were the number of ideas that were moving around very rapidly, and very brilliantly. It was an emerging, international conversation about life, and art, and music and politics. It wasn't directed, but inspired by brilliant statements of all kinds." I will write about some of these people, other photographers and exhibitions, about music and singer/songwriters whose work I admire. About "brilliant ideas" if I run across them. Some blogs to follow: Rosanne Cash, our work together, and her new book. Keith Richards (when his book is published in October). John and Yoko: A Love Story.